Control every play with the Puma evoTOUCH cleats made for creative players who make a mark on every match. With ultimate touch and control in mind, the Puma evoTOUCH features the K-Touch leather upper, form-fitting evoKNIT sock, GripTex pattern and SpeedTrack outsole spine. Be one of the first to lace up the Puma evoTOUCH and make a statement next time you take the field. 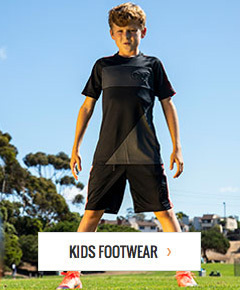 soccerloco is your source for Puma evoTOUCH cleats with a wide variety of price points, colors and sizes available.